LAWS are written for the average citizen, the meaty portion of the demographic bell curve, but a referendum on a law usually springs from something an outlier does. It may be subtle, like someone exploiting a tax-loophole, or in-your-face, like someone walking from classroom to classroom firing multiple rounds at cherubic victims. Adam Lanza discharged a firearm on innocent children, teachers, and his mother, before killing himself. Twenty eight people died, fourteen of them children. We have seen this before. The Virginia Tech shooting happened about five years ago. And a few months later—not nearly as gruesome, but closer to home—a man had sneaked a gun into my university campus before he was apprehended. Luckily there were no casualties. These, with the Gabrielle Giffords case, and the Aurora shooting, have ensured a stalemated gun-control debate, with one side claiming it’s too soon to talk about it and the other questioning the logic of civilians carrying assault weapons. What we have here is a nation divided, with most participants refusing to budge, on an issue that isn’t elucidated as much as we’d like to believe. For every gun-owner who kills innocent people, there are thousands who don’t. That we cannot ignore. Instead of restricting the sale of weapons, let’s collect and publicize information on gun-owners. Nancy Lanza was a survivalist who owned over a dozen guns and stockpiled food in preparation for the ‘apocalypse.’ She also took her sons to shooting practice. There are fewer red flags at a communist rally. Instead of banning assault weapons for civilians, why not use the information? Put someone such as Lanza’s mother on a watch-list. When a twenty-year old has access to and carries semiautomatics, in violation of Connecticut law, follow him around in a chopper if you like. The Second Amendment prohibits none of that. The more regulatory hoops people have to jump through to get whatever they want, the likelier that they pursue illegal methods to get it. And shadow economies that fly under the radar use violence as currency. The drug war and Prohibition have taught us that. Let people buy the weapons legally, but keep tabs on them. Educate them that the Second Amendment doesn’t protect them from a tyrannical federal government that possesses nuclear weapons. Nothing does. It was drafted back when the government and the people had the same weapons. Today, you have the right to own a gun, not the right to keep it secret. It’s not a perfect solution, but it’s something. Some say that had twenty-eight people died in a terrorist attack, the people drooling all over the Second Amendment right now would have gladly forfeited what’s left of their Fourth Amendment. That, I believe, is a false equivalence. Terrorists are malevolent but sane people who kill in cold blood. Every single terrorist act must be punished swiftly and harshly, or more will happen. But this man was crazy, and besides his mother, he didn’t know his victims; so this wasn’t personal. Gun ownership prevents crimes too. Sure, fewer guns are fired in defense than offense, but the presence of a gun, or even the possibility of one, makes a person less of a sitting duck. We cannot know of all the attempted burglaries, rapes, and muggings thwarted by the victim’s possession of a gun, without even firing it. While this argument does not justify a 20-year-old carrying a Bushmaster XM-15, it does muddy the issue. It’s human nature to make sense of tribulation—a significance, anything to escape the sad truth that we are but dots on a tapestry, whole lives without meaning to anyone except those living them. (Perhaps that’s why our ancestors invented religion.) I don’t mean to insult the loss of life, or those that died. But these events are an aberration. It’s unlikely and unfortunate when an earthquake or a tsunami occurs, and similarly, now and then someone, somewhere snaps and hurts people without reason. This wasn’t an act of terrorism, not a murder for profit, nor anything preventable. This was a tragedy. Let’s grieve with all of our hearts and comfort the bereaved. 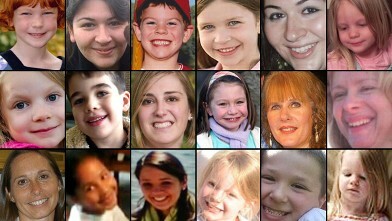 Let’s not forget, in our sorrow for the victims and our indignation on guns, that there were heroes in that school. It is often said that heroes are those who put themselves in harm’s way. The teachers and aides, the principal, and the school psychologist showed outstanding courage as they selflessly rescued as many children as they could, often paying with their own lives. Victoria Soto actually misdirected Lanza by telling him that her students were in the auditorium, while she hid them in cabinets and cupboards. She probably knew he’d kill her, but she protected the tots in her charge anyway. These women did more than save lives. They did wonders to conserve my faith in humanity. And probably yours. A good approach , a 360* viewpoint referring to the brave teachers and their acts of courage is nice to read. Such a complicated issue. Thanks for not trying to reduce it to oversimplified absolutes. Thanks! You’re right; it’s a gray area. This was a well-written post Bharat but I disagree with you so much it hurts. I’m Australian, not American, and you probably think we live in a nanny state. Maybe we do. But at least here, ordinary people can go about their lives without wondering whether the next time they go to the movies they’ll be killed by some nutter with a grudge and a gun. We can send our kids to school in the knowledge that they will come home again in the afternoon. And, most telling of all, we don’t miss not having guns, especially semi-automatics. The people who actually need guns for a specific purpose have them. The rest of us don’t. I cannot understand this love affair with a toy whose only purpose is to kill as many people as possible with as little effort as possible. Isn’t life short enough as it is? Thanks for your comment and your praise! To begin with, I’ve been in the USA for five years. I grew up in India. So I won’t call Australia a nanny state. Guns abound in the South here, but you don’t nearly see as much gun violence as you’d fear. Schools in America are gun-free zones. Law abiding citizens don’t bring guns there. Nuts with guns—who don’t abide by laws—march right in and play target practice in places like schools because they know that their victims are defenseless. I don’t buy the reason that guns exist solely to kill people efficiently. They also provide valuable protection. A bunch of countries in the world have enough nuclear weapons to destroy the earth many times over. They won’t use them. But it’s a deterrent. I know bring citing nuclear weapons in this argument is kinda overkill, but the point is that just because a weapon can kill, doesn’t mean that’s it’s primary purpose. A lot of people buying guns for personal protection do not intend to fire at another human being. Ultimately, a free society is one where we look for reasons to take away people’s rights, not the other way round. I don’t believe in this myth of freedom [and rights]. You can’t have freedom in a vacuum, and no society can survive in total anarchy. Ironically, once individuals achieve their ‘freedom’ they generally die because there is no society there to protect them. For me it’s society that protects individuals, not guns. Besides, why buy a semi-automatic weapon if you just want to ‘protect’ yourself? Could it be that a semi-automatic is so easy to use a child could do it? Could it be that a semi-automatic requires less skill than the kind of gun you have to actually aim? Or is it just that semi-automatics just look ‘cooler’? Farmers don’t use semi-automatics. Gun clubs don’t use semi-automatics, marksmen don’t use semi-automatics. Why not? And if they don’t use them what possible reason could there be for ordinary, law-abiding, sane citizens to do so? As for nuclear capabilities, where has having enough nuclear weapons to wipe out the globe many times over ever stopped a country from wanting some of their own? North Korea anyone? If we can’t feel safe, we aren’t free. A lot of people feel that owning a gun helps them protect themselves and their property. I understand your incredulity about the need to own semiautomatics for that purpose, but I don’t think we have enough reason to ban them altogether. Lanza knew that the school was gun-free and he could do damage without being stopped. The type of person who would shoot children to death wouldn’t stop because a law stands in his way. He would have procured the gun anyway and done what he wanted. I don’t think we have enough reason to take away people’s guns—especially semiautomatics which require repeated trigger-squeezing for each fire. But I’ll admit, I’m not clear on the subject. I’m definitely not a gung-ho gun-rights enthusiast. “If we can’t feel safe, we aren’t free.” I agree with that statement wholeheartedly. Unfortunately, what makes some people feel safe is having the exact opposite effect on others, many, many others. Right, the second amendment prohibits none of it. However, does that mean this is a cost that the government can afford. Does that even mean it is a wise way to spend taxpayers’ money? And how would such a “watch list” practically be implemented anyway? There would literally have to be an agent shadowing every such individual whenever he’s out of the house. Watch lists such as the ones for flights are somewhat effective only because every one is required to show ID which allows such individuals to be easily flagged and then frisked/investigated. And even if it could be done, what would be the point of all that cost and effort? Just so that these individuals of questionable sanity can own these guns and use them for recreational target practice? And anyway, I do not believe semi-automatic weapons really have any use from the pov of the personal safety of your person or home, except perhaps when you’re a resident of Camp David under seige from the federal govt. I was exaggerating for effect with the chopper thing. But I see your point about implementation. Guns are required to be registered and it’s a felony to not report gun theft. Approaches like these are sensible. As to whether semiautomatics are necessary or not, I don’t really know. I probably won’t buy a gun all my life. But I don’t think it has come to the point where we should prohibit such guns and jail the ones who buy or sell them. People will find ways to procure and have them illegally. Nuts like this guy target schools because they are gun-free zones. As I said, the possibility of a prospective victim having a gun scares the criminal. Wherever we outlaw guns, all a person willing to commit murder and risk incarceration would have to do is to break one more law and enter those places with a gun. The victims then are sitting ducks. Ok, simple question: What is the underlying motivation for your position? Is it predominantly ideological? Or is it predominantly empirical, based on your perception of the balance of pros/cons of allowing civilians to own guns. By “guns” above I meant semi-automatics, not handguns. You got me there. It’s partly ideological. It’s a freedom thing. Once you give government the right to control some aspect of your life, they rarely ever give it back. But I’ll say this. From an evidentiary standpoint, as cold as it may seem, mass shootings are rare events, rare enough to be statistical outliers. I feel we confuse the horror we experience with the probability that the next victim might be us or our loved ones—which is still low. This is no offense to those afflicted. This was an act out of aberration and can happen anywhere in the world. Guns need to be in safe hands and definitely not with a deranged psychopath ‘youth’ as in this case. Even though I choose not to own a gun, I believe every American citizen has the right to. Where the water gets murky for me is with assalt rifles. I don’t get why anyone who isn’t a soldier or a cop should have access to them, legal or illegal. I always enjoy reading your posts, Bharat. Thanks for sharing. I don’t see the value in owning assault weapons either. In India, assault rifles in the hands of regular citizens is unheard of. But I’m uncomfortable with giving the government more rights to curb its citizens. Those rights never come back, even if they’re proven unnecessary. And while mass shootings are horrific, the total loss of life in mass shootings, nay the number of mass shootings in recent years is so low that the probability of us or our loved ones being affected is negligible. It’s our horror that compels us to ask for more laws. There have been 70 mass shootings in USA in 30 years, and we have lost 543 people to them. Each life is precious and its loss, regrettable. But the numbers are small—no offense to the victims. I find this argument somewhat ‘hedging’. To come across libertarian professing freedom while also pointing out that “Guns abound in the South” (in reply to actflory), somewhere I presume the author does not live, so in a way putting distance from the gun owners. I wonder how the author would feel if it was one of his children or siblings that got blown away by a senseless act. This false equivalence of freedom and gun-ownership is a hypocritical one with a deep racist history. The author in referring to those “in the South” may be unaware that the Ku Klux Klan was formed with the principal purpose of disarming freed blacks who were protecting their freedom by exercising their right to bear arms (http://www.theatlantic.com/magazine/archive/2011/09/the-secret-history-of-guns/308608/). And when that snake-oil merchant Wayne Lapierre is advocating the right to bear arms he is using the same scary meme that “they” will come to get ya! Gun-ownership, has a deep racist history in this country that has been effectively manipulated and exploited by a cynical industry that has no recognition that these weapons that they are continually flooding the market with have a nearly permanent shelf-life. These same guns are also smuggled routinely into other parts of the world fomenting violence and carnage. For us to dismiss that they like them over there “in the South” would be akin to saying over there “in the Middle East” they like to stone women. I don’t have to like gun-owners to respect their rights. I respect the free-speech rights of racists as well; I don’t want to associate with them though. If one of my own were harmed in an instance of gun-violence, I would not have an objective opinion on the issue, and I hope that others who weren’t so bereaved would be consulted instead of me. As for gun-ownership having racist origins or undertones, it isn’t relevant to whether a citizen has the right to own one. Finally, I cop to your hedging accusation. I find myself vacillating on assault weapons. I don’t think people should own them but I’m afraid of giving the government more rights over the people.